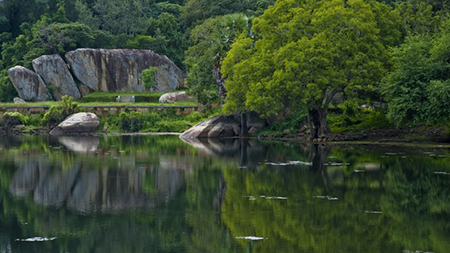 Mihintale, a mountain peak located near Anuradhapura, is a pilgrimage site visited by many. 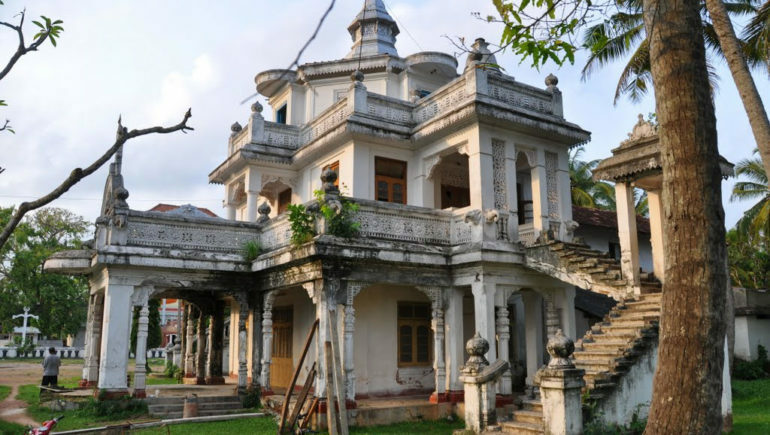 Home to religious monuments and ruins, it is believed to be the site whereby King Devanampiyatissa had his first encounter with the son of Emperor Ashoka of India, Mahinda. The introduction of Buddhism to Sri Lanka is associated with Mahinda. Sent to Sri Lanka to offer a message of peace, he arrived on the day of the full moon in the month of Poson. 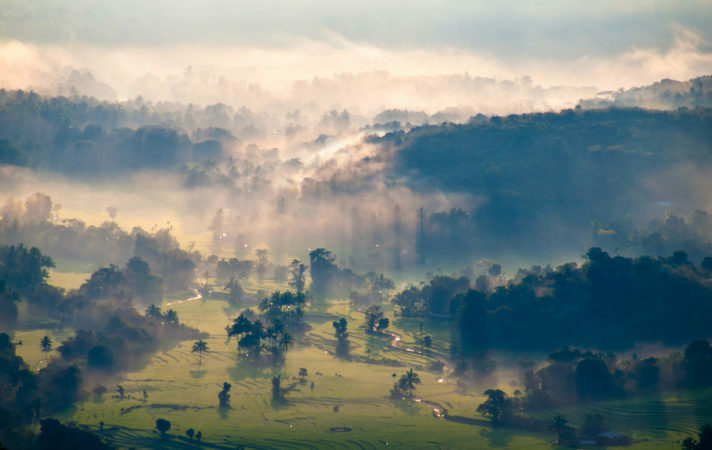 Having tested the King’s wisdom, Mahinda found him to be a worthy disciple and converted him immediately. 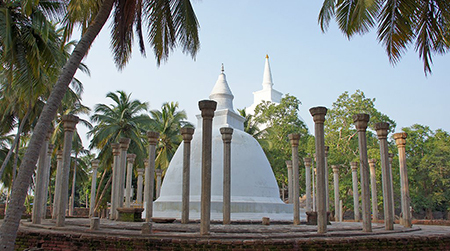 Every year, the grand festivities of Poson Poya are celebrated in Mihintale on the full moon night in the month of Poson, and devotees carry out a pilgrimage to Anuradhapura and Mihintale during this particular month. 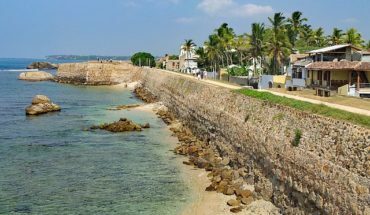 One of the earliest religious monuments constructed on the island, Kantaka Cetiya is situated close to the first landing of the stairway on Mihintale. Interesting features that visitors should keep a lookout for are the ornate shrines facing the four cardinal points. Most of the dagoba is now in ruins, but the eastern shrine remains the best preserved building. Peer closely at this monument, and you will make out intricate carvings of dwarfs, elephants and other figures. Set sight on the ruins of a hospital dating back to the third century. Constructed some 400 years before the earliest hospitals were built in Europe, the Vejja Sala promises to offer intriguing insights into ancient medical practices. Monolithic stone baths used for treating the sick with herbal oils lie amidst the remaining walls and pillars, and an array of medical tools and equipment have been uncovered at the site. 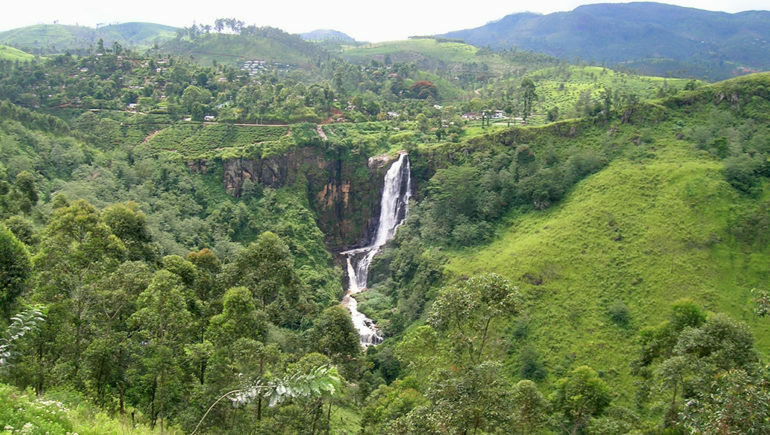 Take a quick five minutes’ drive from the entrance of Mihintale, and you will arrive at Kaludiya Pokuna, which translates to mean ‘pond of black water’. The calm waters of the lake present a serene sight, and the surrounding area is dotted with a scattering of monastic ruins. 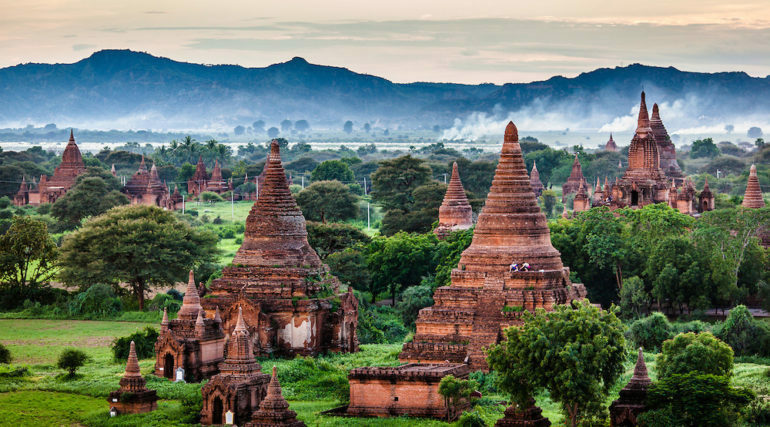 The minimalist design of these buildings seem to indicate that the monks were living in a simple environment, and making do with basic amenities. However, this was not the case; instead, the monks enjoyed relatively modern comforts such as indoor toilet amenities and bath houses. Translating to mean ‘meditation rock’, Aradhana Gala marks the exact spot where Mahinda met King Devanampiyatissa and spoke to him for the first time. Set upon the summit of a hill, there are iron railings built into the rock to help visitors ascend to the top. The area whereby Mahinda and King Devanampiyatissa met are well-revered by Buddhists; determined pilgrims make their way to the top of the rock even when strong winds are present. A pristine white stupa stands in the highest terrace of Mihintale, encircled by pillars. 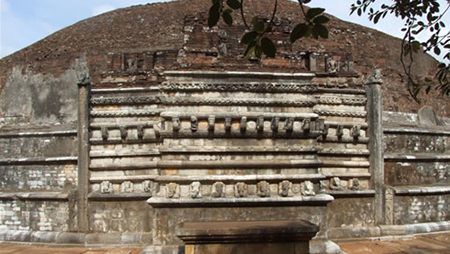 This dagoba marks the point in which Mahinda surprised King Devanampiyatissa halfway during a stag hunt, and is said to enshrine the relics of Mahinda.